Drumdrops is running a Summer Sale between 30th June and 16th July 2017. Customers can buy anything on the site with a 50% discount. 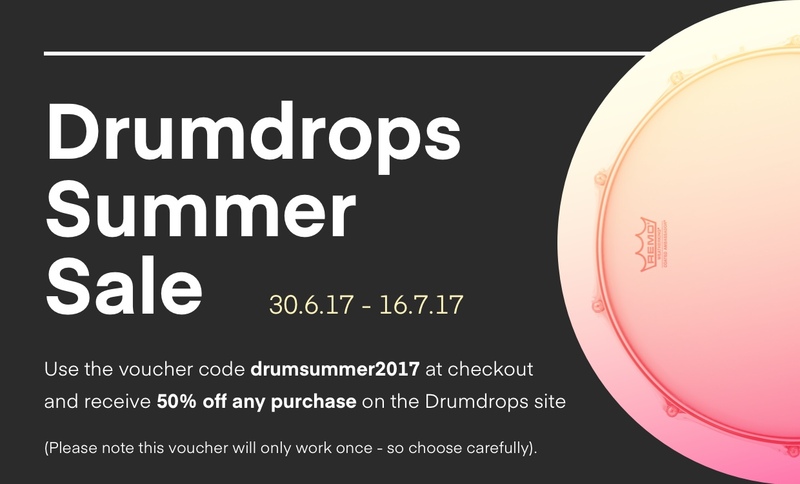 Just select your packs and at checkout use the voucher code drumsummer2017. Please be aware the voucher will only work once, so choose wisely. In other news, Drumdrops has updated the Vintage Disco Kit Kontakt pack to fix some bugs with the v-drums implementation. Also updated are the Vintage Disco Kit, Vintage Folk Rock kit and Modern Folk Kit Multi-Sample packs and All Sample Packs which now include patches for the free TX16wx sampler. Any customers that have previously purchased these packs just need to head to their Drumdrops account and redownload from the original purchases.